People involved in portable dentistry praise this chair. Comfortable and safe for up to 500 pounds. Back adjusts, with patient in chair, from full upright to supine position. Adjustable seat height from 8" to 22". Can be used as standard sit-up chair. Folded dimensions: 23" x 34" x 8"
Comes in strong padded case. Aseptico's new ADC-01P-RED Portable Pediatric Dental Chair is said to be the ideal platform for examining and treating children in public health and school-based environments. 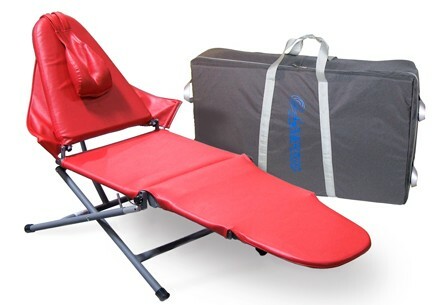 Weighs only 30 Lb (13.6 Kg) and accommodates patients up to 500 lbs (225 kg)! 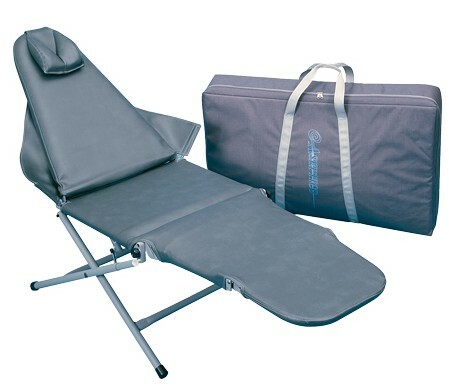 Headrest cushion, arm slings, and soft-sided carrying case are standard features – no hidden costs! Comes in a strong padded case.